It's been a while guys, and I'm sorry. It's not that I haven't been painting. I've managed to get out at least once most weeks over the last month or so, I just haven't been happy enough with what I've done to show it to you. I guess it's just one of those things I'll have to paint my way through. 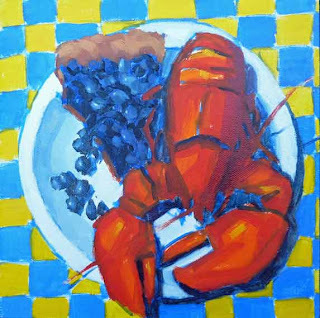 But I wanted to let you know that I've got two paintings in the "Art in Maine" exhibit at the BRAF Gallery in Boothbay Harbor. The show runs through November 2nd. I was particularly exited to have my paintings included in this show, because the juror was Connie Hayes, whose work and encouragement of other artists I very much admire. 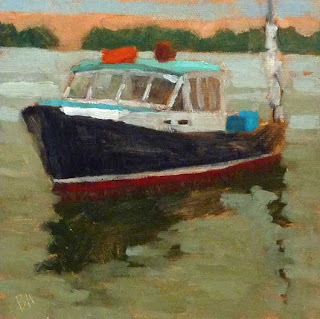 And interestingly, in my plein air travels from Maine to Cape Cod, I keep meeting the nicest and most talented artists. I'm even thinking of starting another blog to introduce them. Or would you prefer to meet them here?